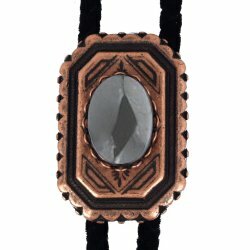 The Scalloped Edge setting is a rectangular slide with black inlay and a scalloped edge accented by attractive beading. The slide measures 1 1/2" by 1" and is available in silver, gold or copper. Our Scalloped Edge settings are made in the USA!